If you’re bored with stuffed peppers and wondering what to serve your veggie guests, this stuffed aubergine dish is perfect. Fresh wet masala is made with spices and onion. 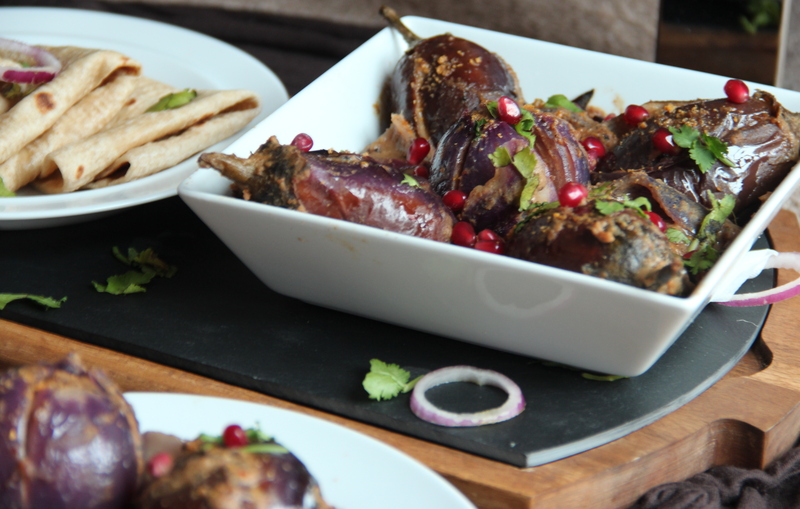 Baby Indian eggplants are stuffed with freshly ground masala. They are then cooked on low flame till very soft. In a same pan, dry roast desiccated coconut till it turns light golden in colour, about 1 minute. Allow it to cool a bit and blend it to a powder in a blender or a food processor. 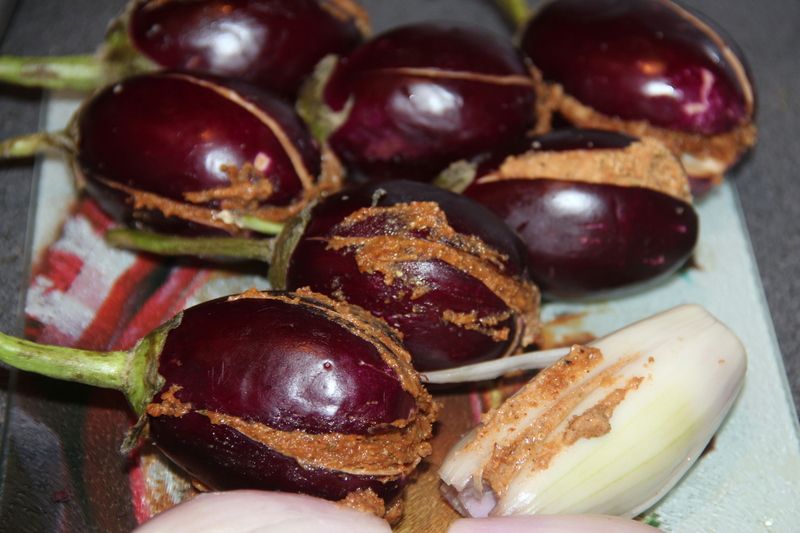 Now start stuffing the baby eggplants and onion with about ½ to ¾ tbsp of spice powder depending on the size of baby eggplant. Take care not to break the eggplant from its stem. Once you have stuffed all of the baby eggplants, . Posted on March 10, 2015, in Indian, Side dish. Bookmark the permalink. 30 Comments. 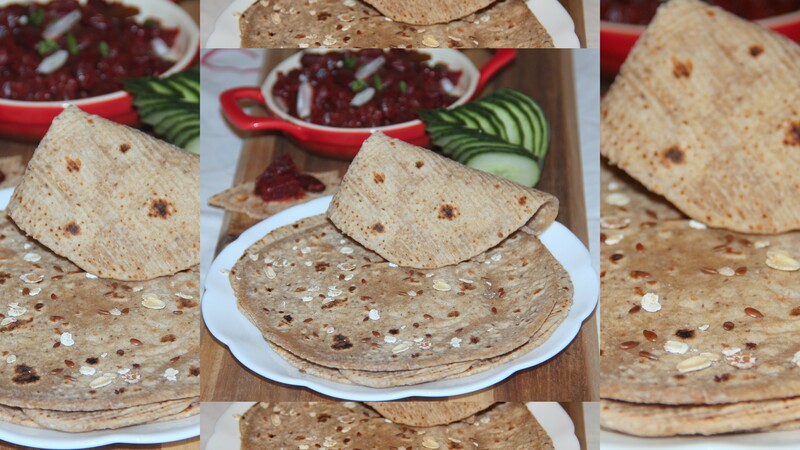 how do you make roti? This is a very favourite in andhra and we make it in different ways…Loved the recipe dear:)..
i love baingan cooked anyways ❤ this looks so delicious !! I love eggplant. The sweet coconut and earthy, warm spices complete the dish. Scrumptious and hearty yet elegant, Chitra.